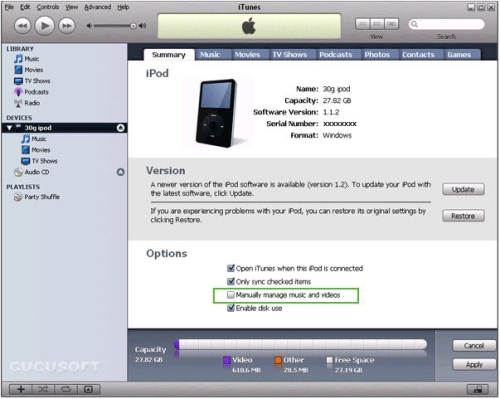 You will need DVD to iPod Converter or iPod Converter suite. Start DVD to iPod Converter. You'll see the right user interface. 1. 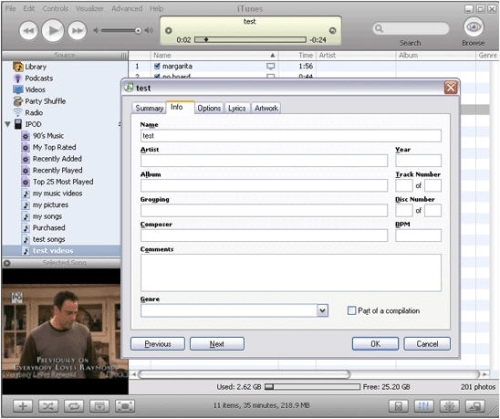 Launch DVD to iPOD Converter. First, choose the output format, encode speed, then and specify the output folder to your hard disk. 2. 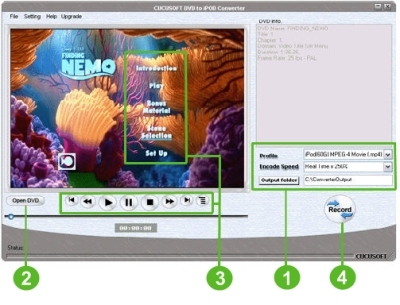 Insert your DVD to the DVD-ROM, then click Open DVD button. 3. 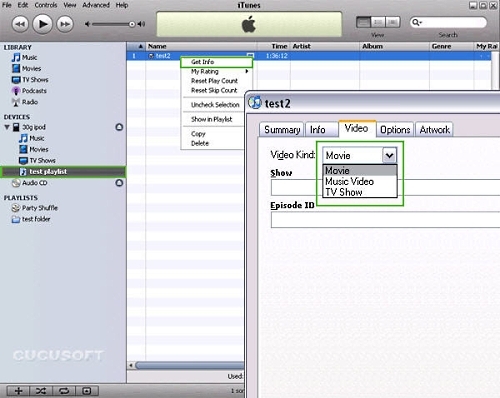 Specify the Basic Input setting Audio track, Subtitle on the menu of the preview screen. Then move the start to the position you expected. Play the title you want to record, it will pop up the following window, choose "record from movie start point" and output file size. 4. Or simply Click "record" button. 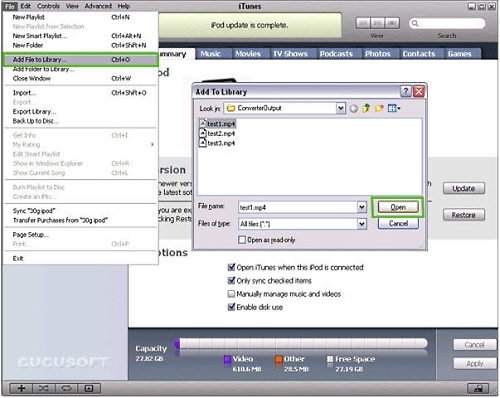 You can either sync your iPod and library to transfer the converted output mp4 file to iPod, or transfer the converted output mp4 file manually. 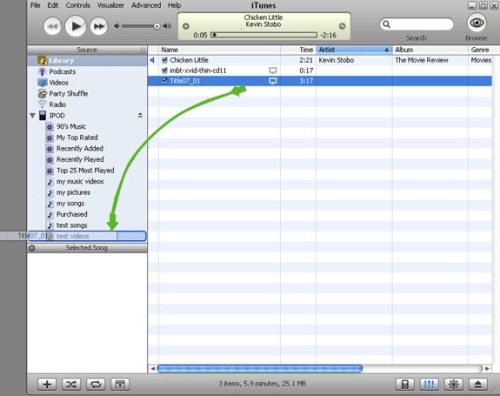 If you decided to sync your iPod and library, follow these steps. 1. 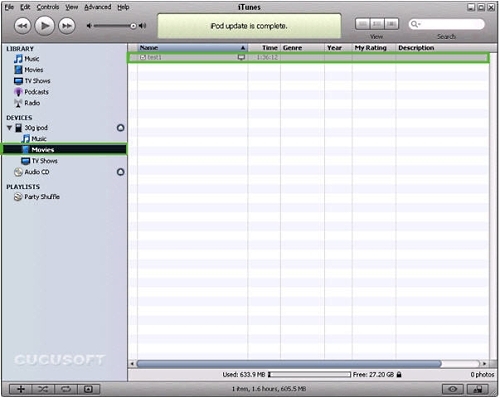 Connect your iPod to your PC, and start itunes7. You'll see the right user interface. 2. Uncheck "Manually manage music and videos". 3. Go to Menu -> Add File to Library. 4. Select the converted output file. 5. Your video is stored at Movies. Right click the file, in Get info to specify the type of your video. 6. Choose Sync "iPod" at the menu. 7. When the updating is complete, the video will appear on you ipod. 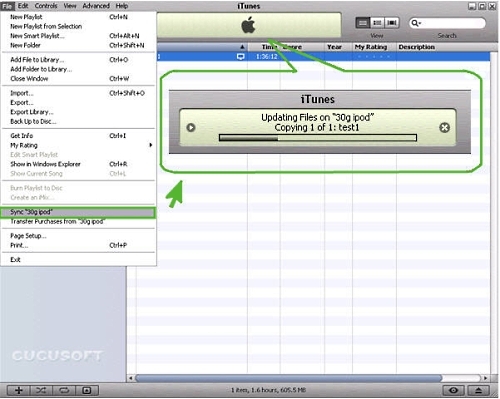 In order to transfer the converted output file manually, follow these steps. 2. Check "Manually manage music and videos". 3. Find "Devices" on the left list. 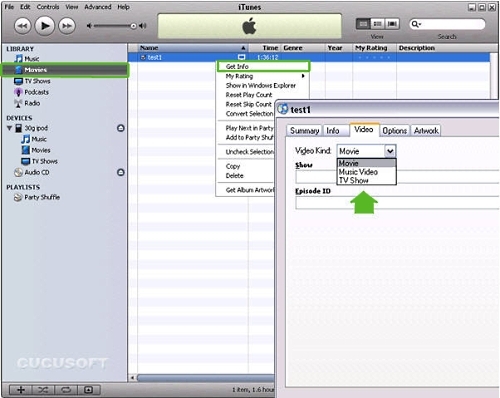 Right click your iPod, create new playlist to place your video. 4. Click the playlist you've just created. 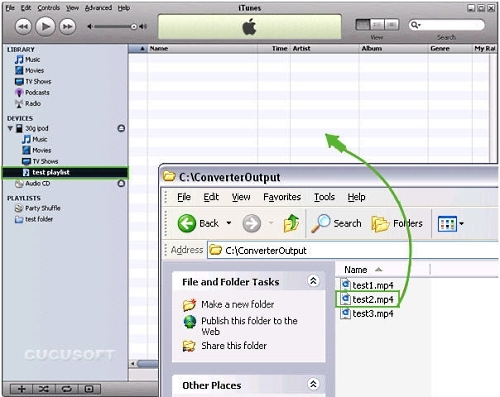 Then drag the output file from the output folder. 5. When the update is complete, the video will appear on you iPod. 1. 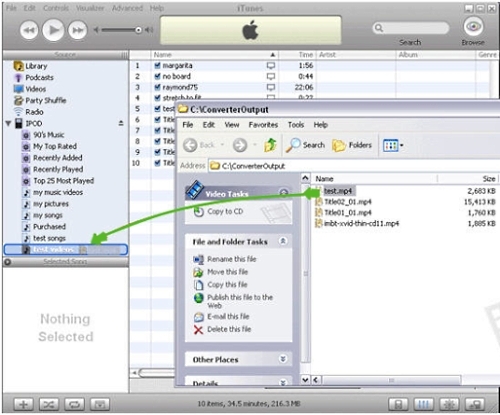 Connect your iPod to PC and launch iTunes. 2. Create a new list where you'll to place converted file. 3. 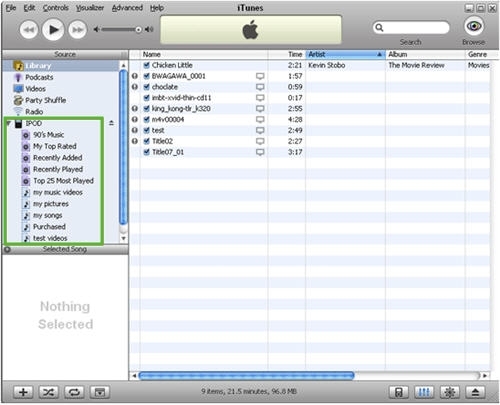 Find converted file and drag it into the new playlist you've just created. 4. 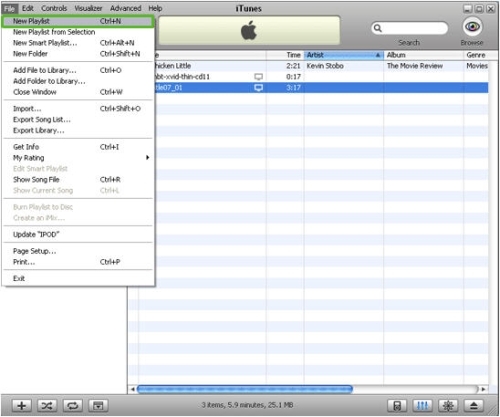 You can also drag converted file from the library to the new playlist (if you've added the file to the iTunes library).